The key to buying a good bag is knowing exactly what you want it to do in the first place. Need something to get your laptop to meetings in one piece? You’ll need a leather briefcase. Need something to cart your sweat gym gear home? A nylon or cotton barrel bag’s your best bet. But what if you want your bag to do more? What if – having discovered that neon camo drawstring bag isn’t exactly what you’d call a ‘hit’ at boardroom meetings – you need a bag that works everywhere? Or at least for more than just stowing a pair of swimshorts in? To save you dropping wads on bags that won’t pull their weight, we rounded up some of the best styles to take you from work to workout and more. A backpack isn’t just for high school – it’s for life. Especially if you’d rather not spend a chunk of yours hunched over in a chiropractor’s waiting room. This one, from British brand Mi-Pac, comes in brown and navy, AKA the ultimate smart-casual colour combo. Wear it to the office (yes, it’s got a dedicated laptop compartment), or for a weekend getaway. Available at Mi-Pac, priced £19.99. Versatile needn’t mean black or brown leather. 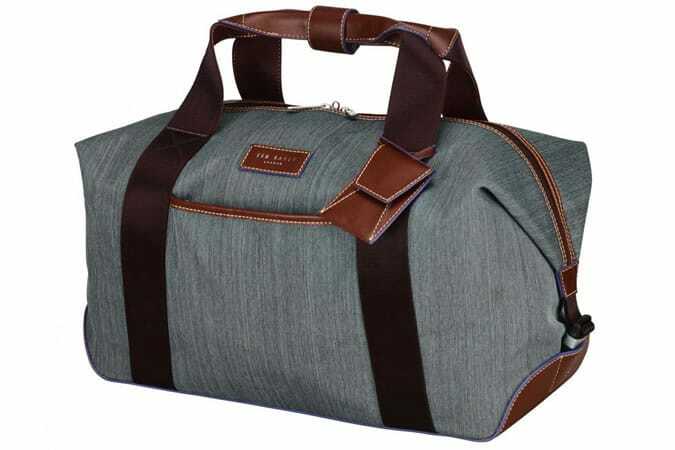 This dome-shaped duffle, made from durable nylon, makes perfect sense if your style skews more athleisure than actuary. Plus, bonus points for its bang-on-trend quilting. Available at Ralph Lauren, priced £145. Like those cross body bags you’ve seen every grime fan sporting, but want something that reads less ‘roadman’? Check this ‘sling pack’ from Japanese brand Harvest Label – a smart blend of everything’s that good about a messenger, backpack and cross body rolled into one. With three interior pockets in addition to its three zipped main zipped compartments, it’s got plenty of stashing space. Available at Urban Outfitters, priced £58. With almost a century’s experience in built-to-last footwear, Australian brand R.M. Williams has set its sights on the leather accessories market, launching a collection that combines tough-as-nails construction with a luxury finish. This overnighter – crafted from pebbled cowhide leather, and featuring a contrast suede lining – is a stand-out. Subtle, sturdy and supremely finished, it’ll take you pretty much everywhere in style. Available at R.M.Williams, priced AU$630.00. LA duo Graf Lantz’s extra-large tote lets you carry a lot in its roomy 15″W x 17″H x 6″D interior, including a little piece of history: the bag itself is made from rare 6″ military webbing that dates all the way back to 27 February, 1951. Available at Graf Lantz, priced $325. More than just somewhere to chuck your trainers, a low-profile barrel bag – like this one from ASOS – makes a solid, sportier alternative to the classic leather holdall. Available at ASOS, priced £18. 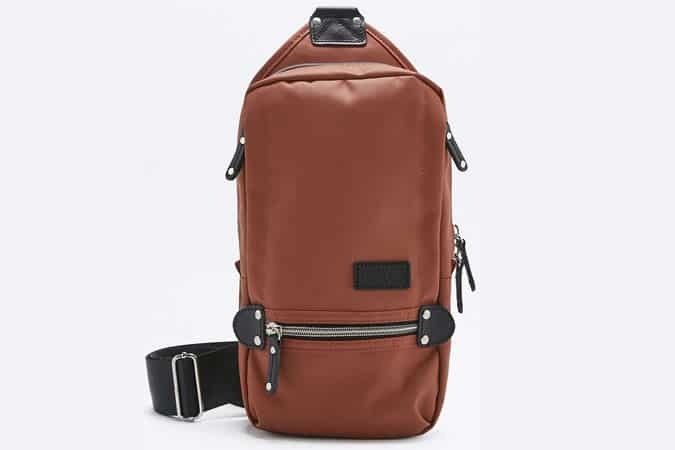 Constructed using premium leather and breathable mesh, American brand Want Les Essentiels de la Vie’s backpack can take a beating. Not that the Kastrup looks rough – in fact its bias-cut front pocket and subtle stitched leather logo give its utilitarian shape a sleek and sophisticated edge that makes it ideal for wearing with smarter looks. Available at Want Les Essentiels, priced £375. Gimmicky portmanteau names aside, the Cambridge Satchel Company’s batchel is an all-time classic. Handmade in Britain, it’s got all the hallmarks of a bag that’s built to last – from its goes-with-everything deep damson colour to a 100 per cent leather and brass construction. Available at Cambridge Satchel, priced £165. Not every business trip needs a roller bag. Ted Baker’s Clipper holdall combines travel-friendly capacity with a design that’s every inch the suited professional – from its leather-style handles to a fabric body that takes its cue from the brand’s tailoring collection. What’s more, its convenient size and comfortable double top handles mean you won’t feel like you’re carting a cadaver around. Available at Harvey Nichols, priced £150. Swedish jeans authority Nudie knows denim doesn’t just mean trousers. Alongside its ever-expanding roster of skinny, slim and straight-leg fits, you’ll find pieces like this 100 per cent organic denim bag too. Quite possibly menswear’s toughest tote. Available at Nudie Jeans, priced £38.